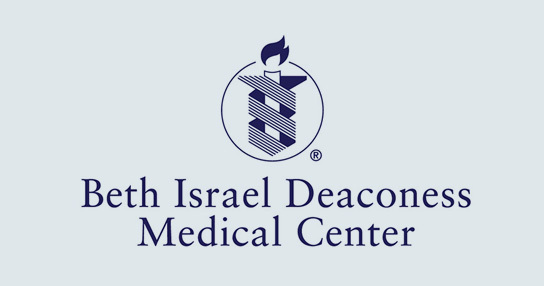 Beth Israel Deaconess Medical Center will collaborate in two additional federal innovation awards announced last week: one with Dartmouth-Hitchcock Medical Center as part of the High Value Healthcare Collaborative (HVHC) and one with Mayo Clinic. These awards were announced as part of the second and final round of Innovation Grants awarded by the federal Center for Medicare and Medicaid Innovation. The collaborations come in addition to the $4.9 million Innovation award received in May to launch a Post-Acute Care Transitions program designed to improve patient outcomes and prevent avoidable cost in the high-risk 30-day period following acute care hospitalization. BIDMC is one of 15 large health systems across the nation to come together as the High Value Health Collaborative convened and facilitated by the Dartmouth Institute for Health Policy and Clinical Practice. The $26.2 million grant will fund a program to engage and implement shared decision-making for patients facing hip, knee or spine surgery, and for patients with diabetes or congestive heart failure across the HVHC member systems. The bulk of the funding will be used to hire and train Patient and Family Activators at the 15 member organizations. Over the three-year grant period, 1,845 health care workers will be trained and an estimated 48 PFA positions will be created to engage in shared decision making with patients and their families, focusing on preferences and supplying sensitive care choices. "The goals of this project are fully in keeping with our own efforts to create a truly patient-centered care experience where patents and their families work closely with their caregivers," says Ken Sands, MD, BIDMC's Senior Vice President of Health Care Quality and one of the principal investigators on the grant. CMMI estimates the project will result in savings of $64 million over three years, largely due to reduced utilization and costs that have been shown to occur when patients are engaged and empowered to make health care decisions based on their own values and preferences. Other members of the HVHC include Baylor Health Care System, Beaumont Health System, Denver Health, Intermountain Healthcare, Mayo Clinic, North Shore-LIJ Health System, MaineHealth, Providence Health and Services, Scott and White Healthcare, Sutter Health, UCLA Health System, University of Iowa Health Care, and Virginia Mason Medical Center. HVHC members collectively serve 50 million patients in health systems across the United States. The Collaborative was founded in 2010 and identified nine high volume, high cost, high variation clinical areas to focus on, with the goal of improving care and outcomes, reducing variation, and lowering costs. For the second award announced, BIDMC will be collaborating with the Mayo Clinic, the US Critical Illness and Injury Trials Group and Philips Research North America, in an effort to improve critical care performance for Medicare/Medicaid beneficiaries in intensive care units. Daniel Talmor, MD, vice chair for critical care in the Department of Anesthesia, is one of three principal investigators, including Ognjen Gajic, MD, from the Mayo Clinic and Michelle Gong, MD, from Montefiore Medical Center in New York. Data shows that 27 percent of such Medicare beneficiaries face preventable treatment errors due to information overload among ICU providers. The Mayo Clinic model will enhance effective use of data using a Cloud-based system that combines a centralized data repository with electronic surveillance and quality measurement of care responses. "We believe this will reduce ICU complications and costs," says Talmor, adding BIDMC's role will be to lead the clinical and economic evaluation of the intervention. One of the clinical sites to take part in the trial is BIDMC-affiliated Lawrence General Hospital, and the medical center will collaborate with Tufts University in the evaluation. The $16 million grant will train 1,440 existing ICU caregivers in four diverse hospital systems over three years to use new health information technologies effectively in managing ICU patient care. CMMI estimates the efforts will generate $81.3 million in savings.